An Army commander must be able to communicate with geographically dispersed forces to command effectively. A home station mission command center (HSMCC) increases a commander's ability to communicate with military partners anytime, anywhere. Designed to enable the Army to "fight tonight," an HSMCC is a joint operations center that nests within the mission command network to provide expeditionary, uninterrupted mission command through a network of intuitive, secure, standards-based capabilities adapted to commanders' requirements and integrated into a common operating environment. 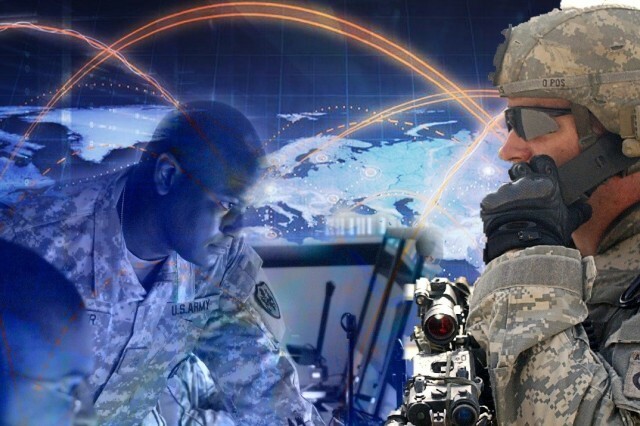 The Army needed to address the fact that over the past decade, corps and division headquarters have procured a variety of nonprogrammed, nonstandardized systems to supplement their tactical equipment. 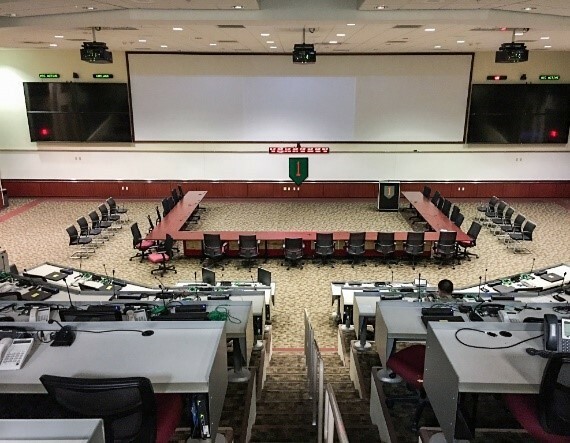 So it initiated a three-phased effort that will provide both a technology refresh and deliver a standard HSMCC capability across 18 headquarters (11 divisions, three corps and four other headquarters). The initial operational capability phase of the HSMCC provides common core capabilities through standardization of warfighting and nonwarfighting tools, technical refresh of supporting audiovisual and network infrastructure components, and normalization of the HSMCC integration into installation and theater networks. 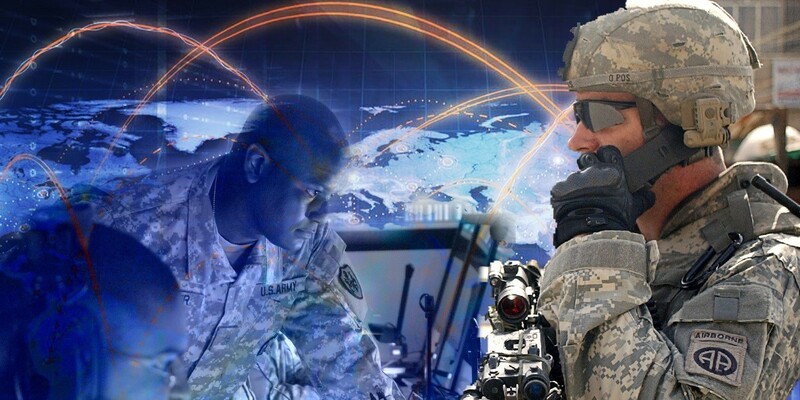 In this phase, the Installation Information Infrastructure Modernization Program (I3MP), within the Program Executive Office for Enterprise Information Systems, modernizes the existing command centers to deliver mission command capabilities, giving commanders what they need to win the fight tonight. I3MP completed the first four HSMCC modernization projects in 2017. The following proven practices and lessons learned promise to have a significant impact on the ongoing HSMCC initiative. Issue: I3MP has developed and implemented a defined, repeatable process to ensure the rapid, cost-effective fielding of this innovative information technology solution, which requires significant planning and coordination among multiple organizations, including the unit's leadership, the command center's facility manager, the local department of public works, the network enterprise center and the unit's cybersecurity team. Recommendation: Use the signing of the project concurrence memorandum at the start of the project to define the roles and responsibilities of each stakeholder. 2. Build an integrated master schedule. 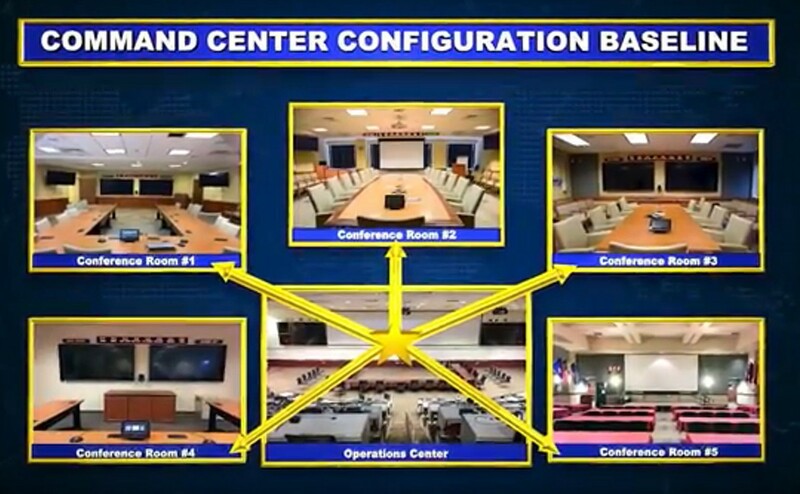 Issue: Each HSMCC project is a custom job, designed around an existing joint command center networked with five conference rooms. The number of different groups involved creates issues in scheduling, coordinating and managing tasks. Recommendation: Build an integrated master schedule to track and monitor the following supporting plans to keep the project on schedule and on budget. 3. Build a logistics support plan. 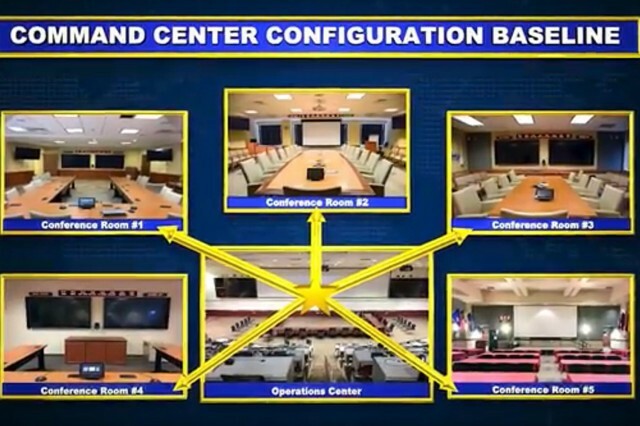 Issue: Command center modernization is a multimillion-dollar project. As a result, acquiring, tracking and storing the high-value items is a high priority. Delays in equipment turnover, lost shipments, and missing or damaged items can all cause significant project delays and budget overruns. Recommendation: Build a logistics support plan that describes the necessary logistics activities, assigns responsibility for those activities and establishes a schedule for completion. 4. Build a cybersecurity plan. 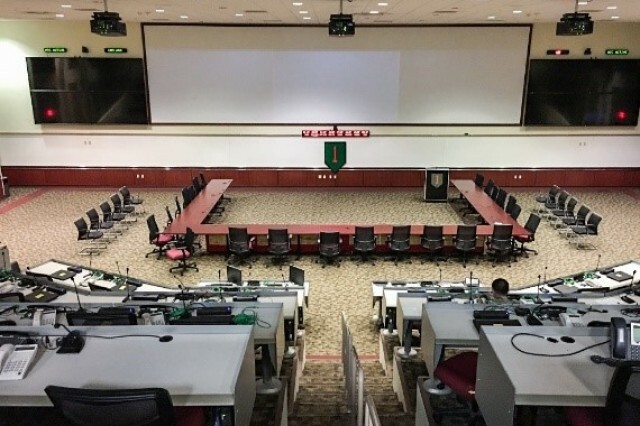 Issue: The cybersecurity risks at command centers when connecting new equipment to the network are considerable, and review of the information assurance requirements takes a minimum of 90 days per conference room. Altogether, the six rooms take 540 days to complete. Recommendation: Build a cybersecurity strategy before the installation to drastically reduce the review process from three months per conference room to three months for the whole command center. 5. Build a quality assurance engineering implementation plan. Issue: These HSMCC projects are the Army's first efforts to standardize joint operations centers. As a result, the engineering plans are continuously improving, resulting in multiple versions of the same documents and creating challenges in tracking approved changes and coordinating support. Recommendation: Use a quality assurance engineering implementation plan that describes how the engineers will manage the quality assurance process during the installation to ensure the application of defined standards, practices, procedures and methods. 6. Build a strategic communications plan. Issue: Keeping all stakeholders informed of project activities and challenges is a systemic problem. Recommendation: Build a strategic communications plan with the unit's public affairs office to establish clear channels of information. 1. Use the in-progress review meetings. Issue: No plan survives first contact. During the first HSMCC projects, every site encountered incidents that significantly impacted the installation. Unresolved issues early in the project become costly delays. For example, the lack of a clear cyber strategy to address the information assurance requirements for all six of the conference rooms will prevent the rooms from connecting to the network. Recommendation: Use the weekly in-progress review meetings, and in some cases the quarterly progress review, with all stakeholders to voice new issues and seek immediate resolutions. 2. Use a tiger team to solve systemic problems. Issue: The first project site experienced video teleconferencing issues within the unit's conference rooms that produced extended delays. I3MP formed a select group of engineers, called a tiger team, to investigate and solve the technical and systemic problems impeding completion of the insta//llation. Recommendation: The tiger team proved valuable in maintaining any gains achieved during the planning, ensuring that work on the project did not inhibit the unit from completing its mission. A strong partnership with project stakeholders is vital to ensuring that the project has minimal impact on a unit's day-to-day operations. As such, stakeholder participation during the first site visit to the command center is the first opportunity for all stakeholders to apply these lessons learned, helping to ensure the project's success. Streamlining Army modernization to sharpen the Army's competitive edge in an increasingly dangerous world requires close coordination and cooperation among all stakeholders. I3MP hopes the insights captured here will be used and validated at future HSMCC projects so that they can be institutionalized, contributing to the Army's continuous learning and rapid delivery of cost-effective information technology solutions to the warfighter. For more information, go to the I3MP website at http://www.eis.army.mil/programs/i3mp. MAJ. ALEYZER MORA is an Army acquisition officer and has served as the I3MP assistant product manager for command centers since July 2015. He holds an M.S. in acquisition and contracting from the Florida Institute of Technology, an MBA from Touro University and a B.S. in business administration from Methodist University. DR. LINDA O. JONES has been the I3MP master scheduler since April 2016. She holds a Ph.D. in education from Walden University and an M.A. in management from Regent University, and bachelor's degrees in political science and business administration from Virginia Wesleyan College. She is a certified Project Management Professional and Scrum Master, and is Level II certified in program management. She also holds certifications in cybersecurity, Security+ and ITIL v3 Foundation.